Influence appears to be one of the topics of 2011. As Klout secures an additional $8.5 million in funding means that enhanced metrics are sure to follow. But what does influence really mean? Klout provides a fairly detailed overview of how they measure influence which is a starting block for this new metric. While measuring influence is still in its infancy, but rapidly developing, what does this mean for you? This might be the reaction of someone seeing a top score return. This is a metric you would expect to see from a Chris Brogan, Brian Solis, Seth Godin or another of the like. This will be someone who has 5-figures of followers and is viewed as a leader in their space. Others will get to this status as well depending on their personal or business niche. Is it possible to get to this level without thousands of followers? Sure. But it helps to be followed by people with thousands of followers too. What if you have 300 followers on Twitter that you are really active connecting? This score may return lower than someone who has thousands of followers and but is re-messaged less than you. You could argue over more influence but you network numbers may not compete. An interesting question may arise, would a negative or lower-than-expected score impact how you use social media going forward? Brian Solis wrote an interesting piece last year regarding the Influence Project put on by Fast Company. 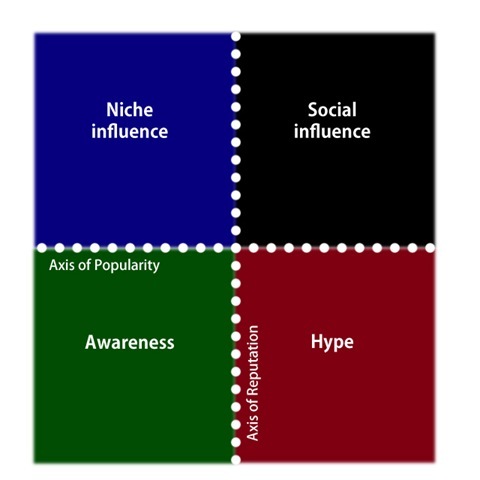 The post basically said influence is not popularity… which ironically was the name of the article. This group might find the results interesting either way but not put much stock in the numbers, it’s too early to truly tell what this means. Personally, I find myself in the “Interesting” group. I believe Klout – or similar metrics – are on the right path but not to a particular accepted standard. I am skeptical over influence. Damien Basile wrote an excellent guest post on the subject on not confusing influence and popularity. What if a friend/follower reads something I post and does not repost, comment or retweet? I may have influenced someone but because it was not shared further it hurts my number? Also, if I do not connect all of my networks it will impact my overall score. There are still too many variables to consider for this to be a truly accurate measuring tool. Influencing metrics is currently subjective, no matter what science and math you wish to put behind it. In time it will become more accurate and grow into something robust but it still needs time and adjusting. I do use Klout but as a snapshot in time for me. Using it fairly regularly it could provide trends and analysis to my network and how I connect with my friends/followers. But I do not put more recognition into this tool than that. Please share your feelings on Klout or other metrics tools, I am very interested in hearing your impressions on the metrics of social influence. Photo credit to BplusD and Servant of Chaos. A recent blog post has provided a lot of perspective into how one company is working with social media for recruiting efforts (read the post in its entirety here). I have to say that I have been thrilled and honored to have played a role in this process. Strategy and implementation are extremely enjoyable and is something that I truly enjoy. Developing relationships, personally and professionally, through social media has allowed me to see a bigger picture of what to consider and certainly what is next and I will continue to do so. Companies continue to block social media sites at work and this is still baffling to me. Anyone can access social media sites and content from anywhere thanks to Smartphone’s and the ever increasing mobile technology. The question this raises is whether companies are worried about employees using corporate property to access social media or if it is a “time drain” question. If the answer is corporate property, this is completely understandable yet a grey subject. Why. More and more employees use social media to ask, answer and share work related information quickly. Social media is (for some) a work related tool. If the answer is that social media is a “time drain”, then this raises another set of questions. 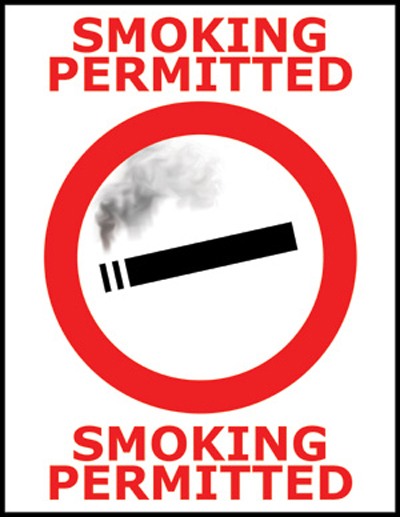 For year, employees have been granted the right to have cigarette breaks throughout the day. We have all seen these individuals, typically outside of an office building in or around a designated area enjoying their vice. Sometimes these people are alone, on their mobile phone or conversing with others. How is social media any different? These tools allow individuals to have a break during the day to converse and share with others. The difference is that social media tools allow employees to remain at their desks. There is always a question of appropriate usage, time wasting, sharing confidential information, and so much more. But hasn’t that issue been here for years already with the cigarette break? Employees congregate in one area and share information, sometimes information they shouldn’t talk about. I acknowledge that social media is on a much, much, much larger scale and may spread 1000 times faster than what I am describing. The issue truly is faith in your employees. Faith that they will make the right decisions and faith that they understand the ramifications of what they do. Social media education is extremely important for any organization, large or small. There will always be a portion of any workforce that will push the limits and even break rules. This has been and will continue to occur in 99.9% of organizations. If we educate our employees as to the risks of what is shared online, this will ultimately lead to a more astute work culture and potentially more productive.